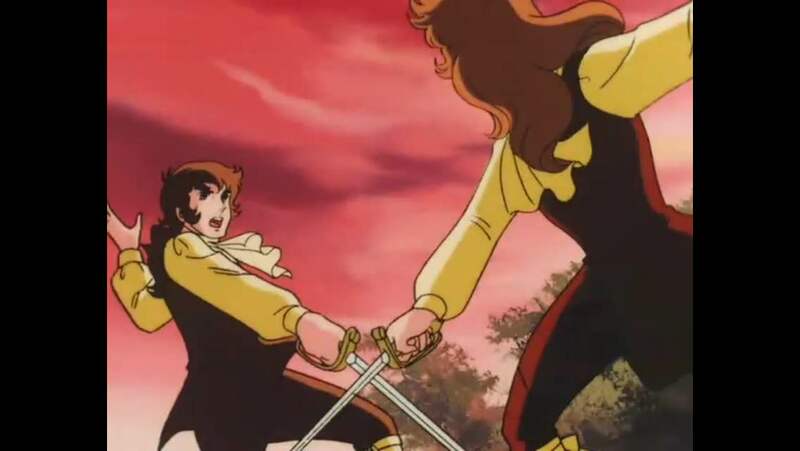 One scene in The Rose of Versailles features Oscar and André, Oscar’s valet and greatest friend, fencing quite vigorously. 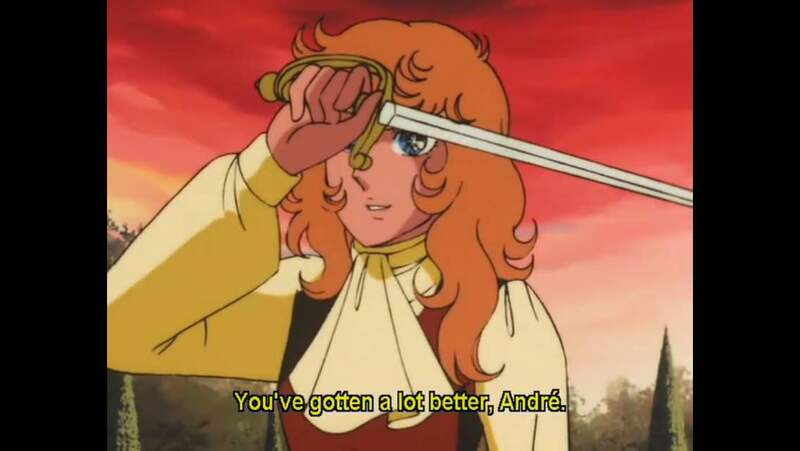 At the end of which, Oscar compliments André by saying that he’s become quite a challenge while fencing “with sharp swords.” A few years ago, this would have caused me to roll my eyes in disgust. I would think to myself: “Practicing with sharp swords! That wasn’t done, and you both have a death wish!” I had that very response towards A Game of Thrones when Joffrey demands that he and one of Ned Stark’s sons spare with sharps instead of wooden swords, and the fencing master refuses to permit it–though he offers that they might practice with blunts. Very many of you likely have the same opinion as I used to. One of the first books on medieval fencing I ever read, John Clements’ Medieval Swordsmanship, does not talk about sparring with sharps anywhere. It recommends cutting practice, technique drills, and sparring with boffers, wooden swords, or synthetic ones. I used to figure that by combining the three one can “triangulate” in order to understand what fighting with a real sword would feel like. In addition, I read two accounting of practicing with sharp swords which boded ill for one of the fencers. In one viking saga, a father trains against his son while using a cursed blade. The sword having been knocked backwards with a certain parry, it buries itself in the father’s brain and makes an end of him. On the other occasion, Alexandre Dumas recounts in one of his historical fictions that people at first practiced without foils, but with swords having a point and sharp edges. During one practicing bout, one fellow was stabbed sixteen times and fell dead after the session. Both reinforce the idea that fencing with sharp swords is a very, very bad idea. Yet, recently, I’ve discovered that my assumption is wrong. First, I noted that Nidar Singh, Master of the Sikh Martial Art Sanatan Shastarvidiya, only trains his students with sharp blades. However, he failed to completely convince me that this sort of sparring was a good idea. You see, in one video, a student springs forward to try to practice a cut on his master. The master evades it and delivers a counter cut into the flying student, who narrowly escapes having his head cleaved because Nidar Singh turns his blade at the last moment such that he strikes his student with the flat. After which, Nidar explains how necessary it is for him to keep constant vigilance so that his students don’t die! So, I thought to myself that training with sharp swords is only okay if one trains under a super ultimate master of martial arts–not okay in other circumstances. The fencers are quite advanced. The sparring is not done with full intent, i.e. not at full speed and each fencer is careful not to connect. The article also mentions that practicing thrusts with sharp swords is more dangerous than practicing cuts. What does that mean about the bout between Oscar and André? It’s fully possible, but not at that speed. 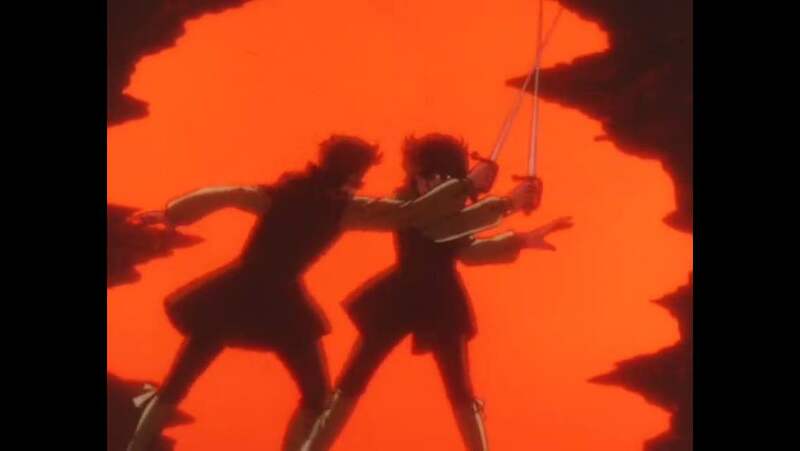 Especially with thrusting weapons, the two are incredibly likely to stab each other by accident. At least, their unrealistic training is more entertaining to watch! 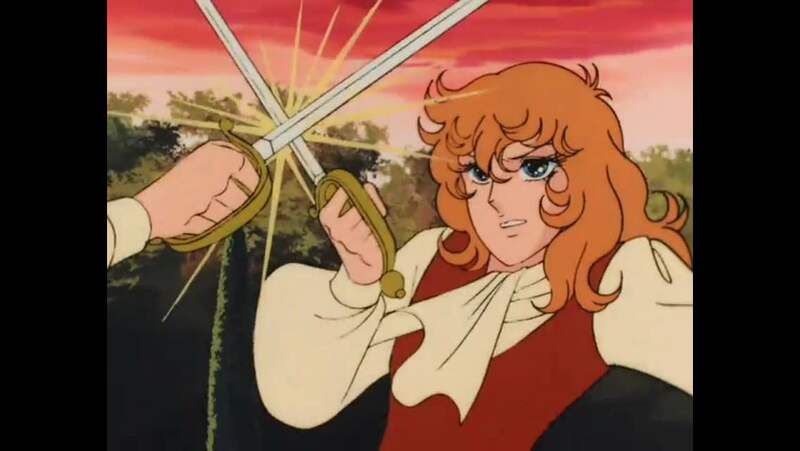 This entry was posted in Anime, Medieval Stuff and tagged Andre, fencing with sharp swords, fencing with sharps, John Clements, Nidar Singh, Oscar, Roland Warzecha, The Rose of Versailles. I’m more worried that I’d run someone else through. 🙂 But, this kind of practice is only recommended for advanced martial artists. My first practice was with a sharp sword and I always needed to be carefully against my classmates… The teacher could respond well but my classmates almost got stabbed. You’re welcome! I thought that readers might wonder if such training was done.